A six-letter word has been casting a cloud over house prices in the UK during 2019. Have you guessed which word? Yes, Brexit. The UK’s decision to leave the EU has still not been agreed at the time of writing. But Brexit is having the effect of driving down house prices in some parts of the country. News about Brexit is changing by the day or even the hour. But the Brexit factor has been a source of general doom and gloom in the property market for many months. Bounce back later this year? Some property experts expect prices to improve in the second half of 2019, once there is -hopefully – more certainty. However, The Guardian newspaper has been writing downbeat stories about the property market for several months. In January, the national paper reported that house prices rose “unexpectedly” in December “at the fastest rate in two years”. However, the same article warns of the risk of a “property slump” which would be caused by a no-deal Brexit. And some are genuinely worried about the possibility of house price falls. Mortgage lender Nationwide said the annual house price growth was “sluggish” in February. “After almost grinding to a complete halt in January, annual house price growth remained subdued in February, with prices just 0.4% higher than the same time last year. Mr Gardner added that the number of properties coming onto the market also slowed. But “this doesn’t appear to have been enough to prevent a modest shift…in favour of buyers in recent months”. The Telegraph, another national newspaper, reported a very upbeat prediction from the Halifax in January. This major mortgage lender said house prices could rise by up to four per cent in 2019. Also among its predictions, the Halifax said stability would return to the market. Growth would be “between two and four per cent”. However, the building society was quick to add that the real prices would depend on the impact of Brexit. With so much uncertainty right now, it is difficult to make long-term predictions. What is clear is that eventually, demand will return to the property market. Nobody has a crystal ball for this. Since nothing like Brexit has ever happened before, what it will actually mean is very hard to predict. While Brexit is causing worry right now, the Chancellor’s Spring Statement showed that the UK economy is generally looking healthy. Naturally, some homeowners are sitting tight under what is believed to be the best plan. However, depending on your circumstances it could also be the right time to sell your property faster. Ill health, divorce or separation, the need to downsize and financially hard times can all be reasons to reasons to consider selling. Also bear in mind, whatever the media are reporting this week, the property market differs in various parts of UK. In January, the property website with house prices Zoopla looked at predictions for house prices in 2019 in different regions of the UK. In London, the situation was very different from the regions and in parts of the UK like Wales. One property expert told Zoopla that people were already struggling to afford property in the capital. And this situation would only get worse if interest rates rise. Zoopla said the East Midlands (including Nottingham) and West Midlands saw some of the strongest house price growth in 2018. Despite recent gains in values, property remains more affordable in the Midlands than the southern parts of England. She expected prices to dip by 0.5% in the West Midlands and to fall by 1% in the East Midlands. Whatever Brexit might bring, there is no need for despair. Property website Rightmove reported in March that prices remain more buoyant outside London. 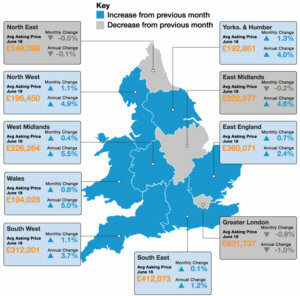 Nine out of 11 UK regions are seeing new-to-the-market sellers pricing higher. However, Rightmove also said more buyers were hesitating as Brexit goes to the wire. All we can be certain of – for now – is uncertainty. And that in the long-term, property will remain a desirable asset for people to own. Unfortunately predicting future house prices in the UK is something none of us can predict with any real certainty. And with Brexit looming never has it been more difficult. 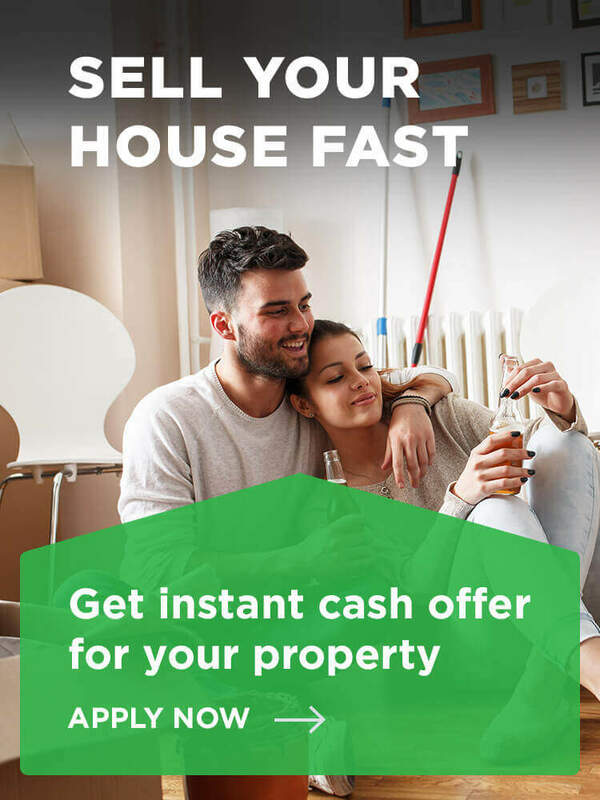 If you decide to sell your property quick contact the team at National Property Buyers today. Our team will be only too happy to help. Has this post helped you in trying to work out where house prices in the UK are heading? Let us know by leaving a short comment below.